Frontlines Shirts Now on Sale! 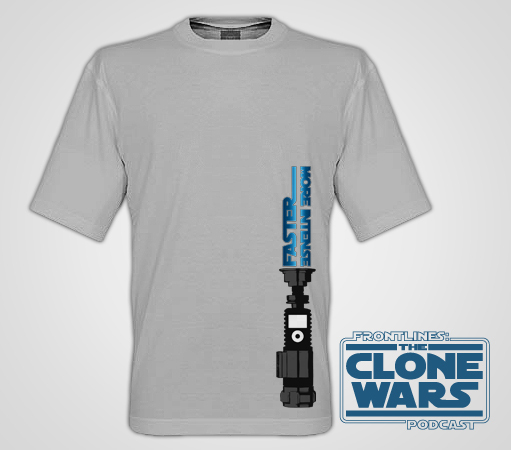 Faster More Intense is the first t-shirt from Frontlines: The Clone Wars Podcast! The first in a series of limited run t-shirts, Faster More Intense features a lightsaber with the iconic iPod sillhouette, and a blue blade reading Faster More Intense. There is also a classic Frontlines logo on the back, below the neck. Shirts are made of 100% Cotton! Supplies are limited, so get yours now, before they’re gone! Head over to the Store to purchase your shirt now!